There are various accounts offered by Banks bearing different interest rates such as savings account, fixed deposits and public provident fund account. But the calculation of interest is not same for all accounts. For instance interest on Fixed Deposits is compounded quarterly while interest on Provident Fund is calculated on monthly basis. Let’s dive into the details of interest calculation by banks on different accounts. 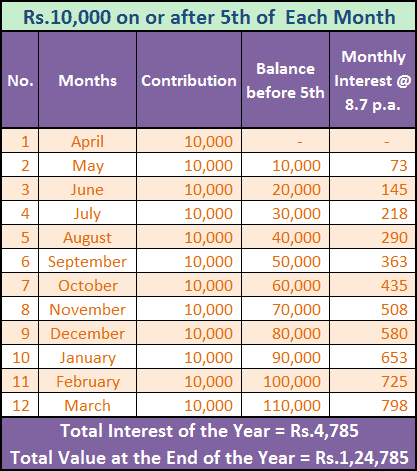 How bank calculate interest on fixed deposit? 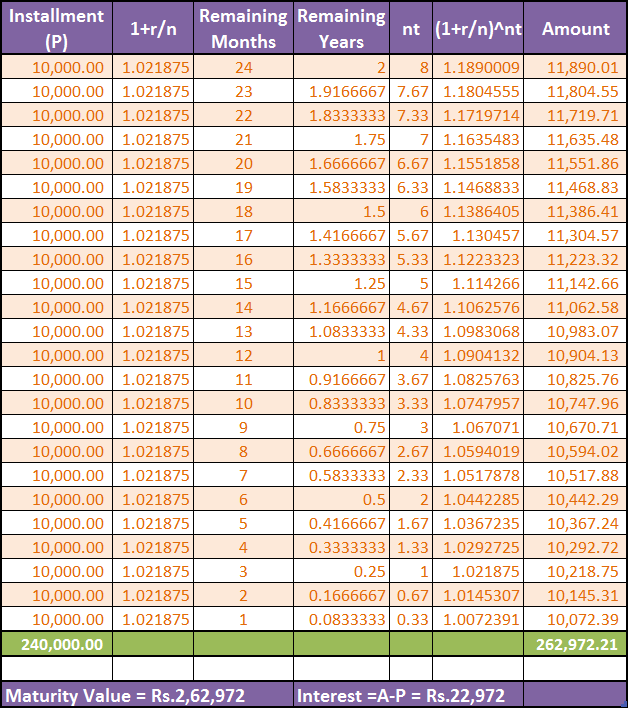 How bank calculate interest on recurring deposit? 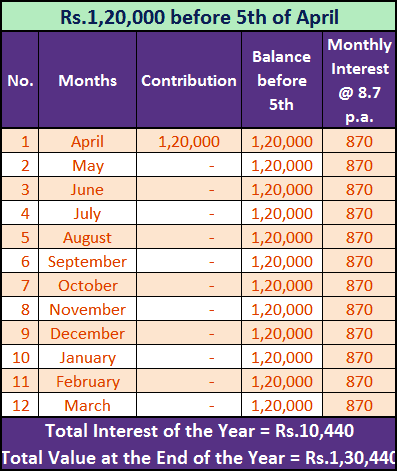 How bank calculate interest on savings account? Calculation of Interest is totally based on the times of compounding? i.e. the number of times the bank compounds interest, for instance, 4 times (quarterly). Always Remember: Higher the compounding, higher the interest you will get. 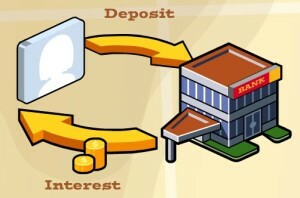 The calculation of interest on recurring deposit is similar to that of fixed deposit. Each deposit/installment would be considered as a separate deposit and interest would be calculated on each installment for the remaining time period. Calculation of Interest on Provident Fund depends on the date of deposition of contribution. 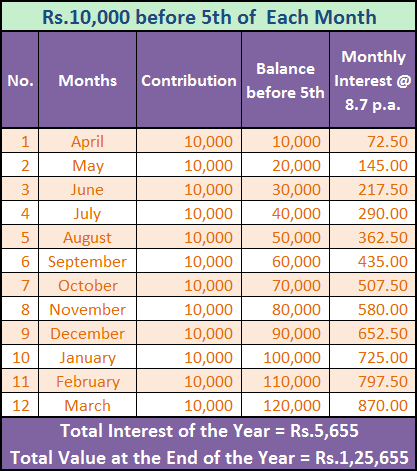 Interest is calculated on the balance carried forward from the last month plus amount deposited before 5th of the month. So if you are in a habit of depositing PPF contribution after 5th and hoping to get interest on it than you would be let down. Let?s see how PPF interest is calculated, considering three instances: The interest rate is taken as 8.7% p.a. which is what PPF account holders are getting this year. 1. Single Contribution of Rs.1,20,000 on or before 5th April. 3. Monthly Contribution of Rs.10,000 on or after 5th of each month. So there is a substantial difference in the amount of interest according to the timing of contribution made. The interest earned in a year is added back to your account only at the end of the year. The interest on savings account is calculated on daily basis on the closing balance of the day. Unlike PPF account the interest is credited to the account every 6 months. Each type of account has its own pros and cons, Fixed Deposit gives high return but money gets locked for certain period. Recurring deposit on the other hand is useful tool but interest amount could be low as compared to fixed deposit for same time period. On the other hand savings account is not at all suitable for keeping high balance; either transfer it to fixed deposit account through flexi scheme or open a recurring deposit account. PPF account should be taken purely for tax-planning and for retirement corpus because the money gets locked for at least 15 years. If I want fix 1 lack rupees maturity amount in various Interest rate and for the various year in FD. So how many rupees I have to invest in FD for 1lack rupees maturity amount. Please read my question carefully and answer. Suppose I?m investing 2500 per month in recurring deposit account interest compounded quarterly. My MATURITY AMOUNT IS 65229/-. please explain how to calculate rate of interest of recurring deposit.